Today we are delivering a quantum leap in flash storage with the announcement of EMC DSSD D5, a Rack-Scale Flash solution. DSSD D5 provides a new architecture and game-changing flash performance to meet the needs of traditional and next-generation applications, opening up the new category of Rack-Scale Flash for customers. 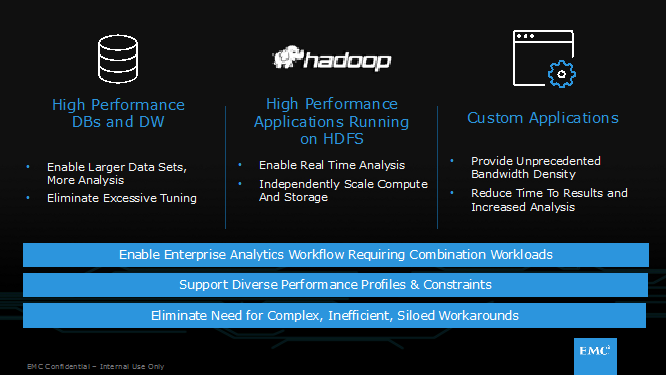 DSSD D5 was built from the ground up to support the increasingly intense latency demands of enterprises at the cutting edge of big data and high-performance analytics and applications. So why DSSD D5, and why now? Applications today have evolved significantly from the previous client-server era; they’re built to leverage diverse data types and support an order of magnitude increase in users, devices and data to support business objectives. This has led to a fundamental change in infrastructure requirements supporting these applications. DSSD D5 is purpose-built to meet these requirements. DSSD D5 is designed specifically for the most data-intensive analytical applications –, if you will. 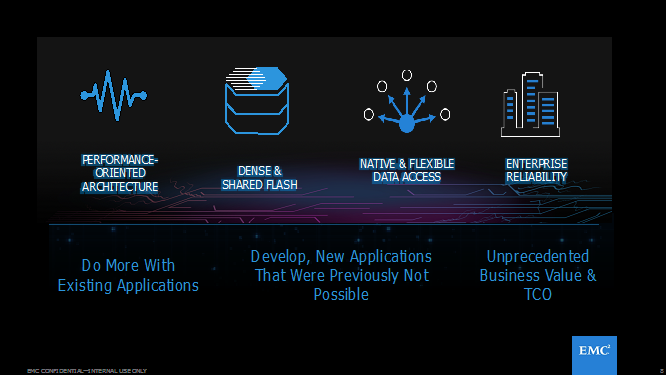 DSSD D5 moves a step – perhaps two, or more – beyond existing architectures to cater to high-performance needs with a performance-centric, dense and shared flash solution that offers diverse and native data access along with enterprise reliability. DSSD D5 delivers performance faster than direct-attached flash while delivering operational efficiency, a larger and denser shared pool of flash and centralized management. 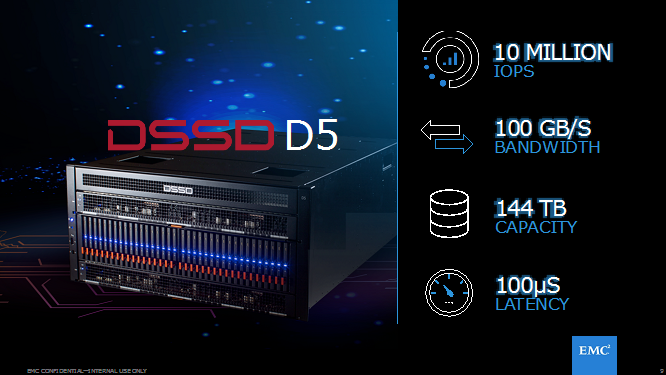 DSSD D5 delivers multiple industry-first software and hardware innovations. And the result is enterprise-ready, next-generation performance in a dense 5U appliance. Each of these categories on their own may not be able to support an entire analytical workflow, and organizations typically use a combination. To add to the complexity, each of these workloads has different performance profiles and constraints, so customers leveraging a legacy infrastructure are forced to create workarounds that are complex, underperforming and inefficient. With its next-generation performance, DSSD D5 enables the world of real-time analytics and applications. Want to learn more? Check out the DSSD homepage and follow @EMCDSSD on Twitter for our latest announcements and content. Check out the DSSD infographic.